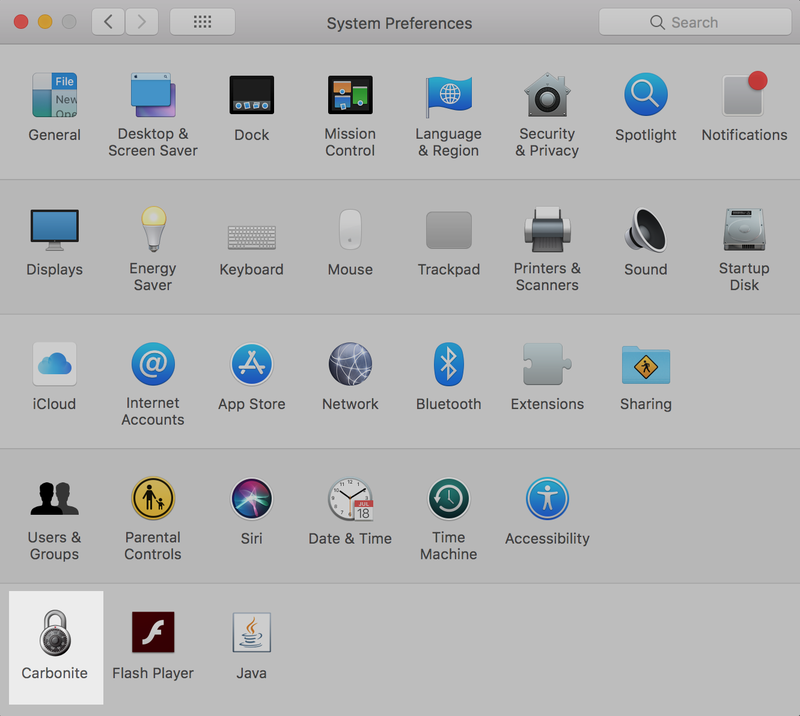 When you install Carbonite on your Mac, a small lock icon is placed in you menu bar. This lock icon can be used to easily pause Carbonite for 24 hours. 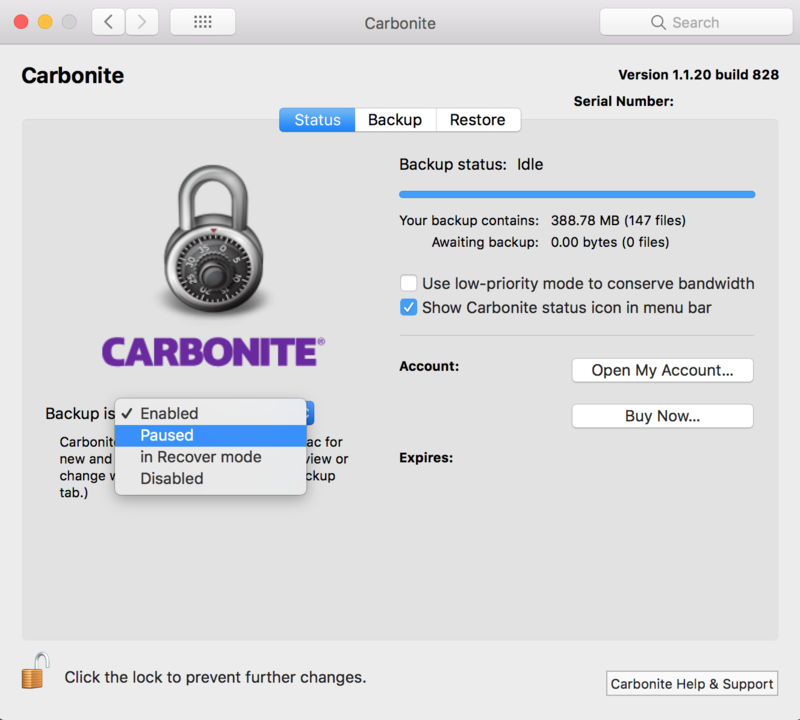 Click the Carbonite lock icon in the menu bar and select Pause for 24 hours. 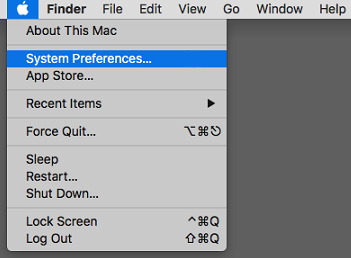 If you open the Carbonite Preference pane, you can pause Carbonite. Selecting Pause will cease Carbonite back up operations for 24 hours or until it is re-enabled. The Carbonite Preference pane will be displayed. Within the Backup Is: drop-down menu, select Paused. When you pause Carbonite, it will remain paused for 24 hours or until you re-enable it. 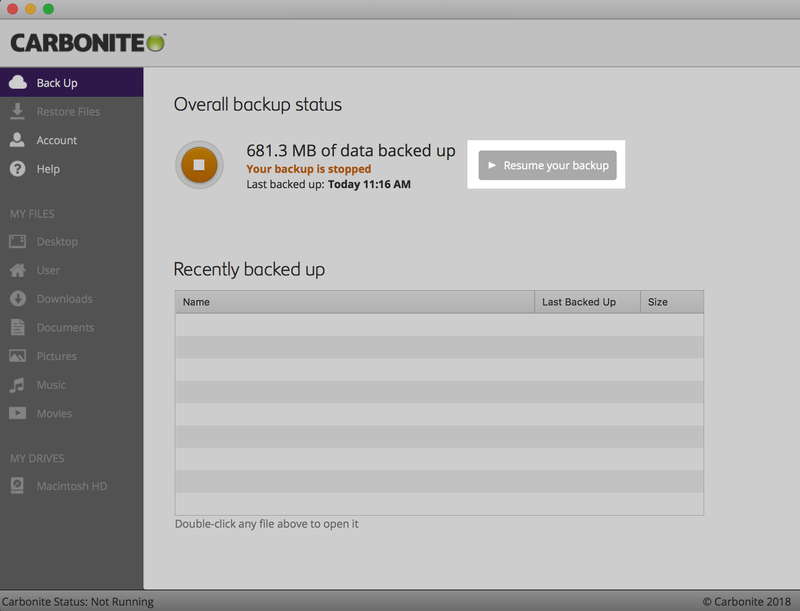 To re-enable Carbonite, open the Backup Is: drop-down menu and select Enabled. If you have Carbonite version 2.x, you can pause Carbonite from the Carbonite User Interface. When the Carbonite User Interface is displayed, click Pause Your Backup to Pause Carbonite and free up system resources for other processes. 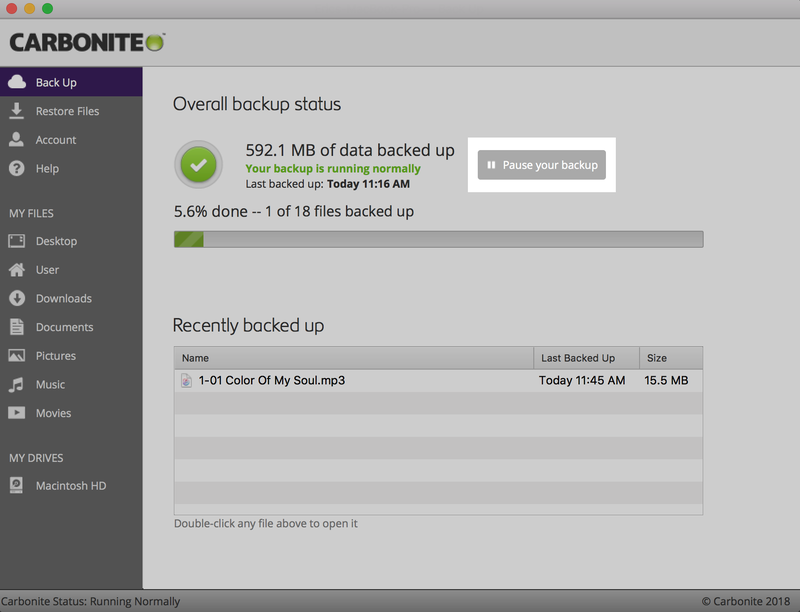 To resume your backup, simply click the Resume Your Backup button when you are ready.